Shrewsbury/Westborough – There is a saying on one of the walls of the ministry that reads, “You will never be the same.” For local residents Anita Polich of Westborough and Mary Ann Judson of Shrewsbury, this sentence says it all. 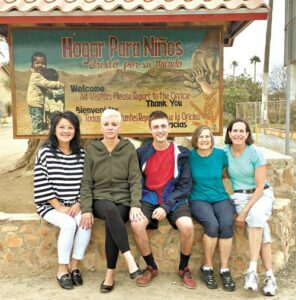 For one week last August, the two women journeyed with three friends to Foundation for His Ministry in the Baja Peninsula to volunteer and support the organization. 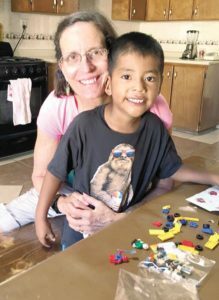 A mission in Mexico, Foundation for His Ministry has an orphanage, soup kitchen, fire department, car repair shop, and a drug addiction center. 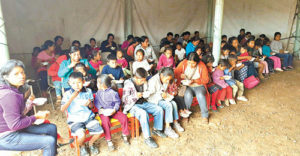 It provides many services to support the impoverished citizens in the area. During their visit, Polich and Judson both served to help people in the various facets of the ministry. Judson has been donating to Foundation for His Ministry for over 20 years; she began by sponsoring a child at the orphanage. Thirteen years ago, she flew down to visit the ministry and has returned each year, bringing more resources, donations and volunteers. 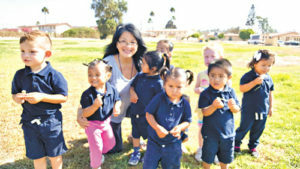 As she spoke about the ministry, her passion and commitment to the cause became evident. While their donations, hard work and buoyant spirits were appreciated, both Judson and Polich explained at length the way that this work filled their own hearts. The pair will be returning in August 2019 and welcomed anyone interested in helping to join them. To learn more or make a donation, visit FFHM.org or contact Mary Ann Judson at [email protected].